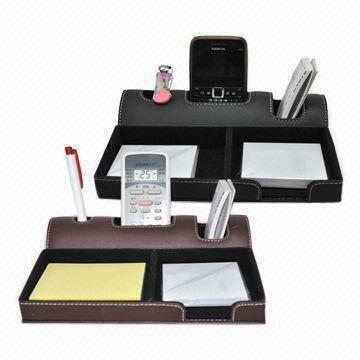  This desktop organizer features five slots for organizing check book, 4G phones/ Cell Phones, memo pads and office supplies etc.  Made of genuine leather. 13.39" X 10.8" X 2.3"